Welcome to sunny Las Vegas, Nevada! 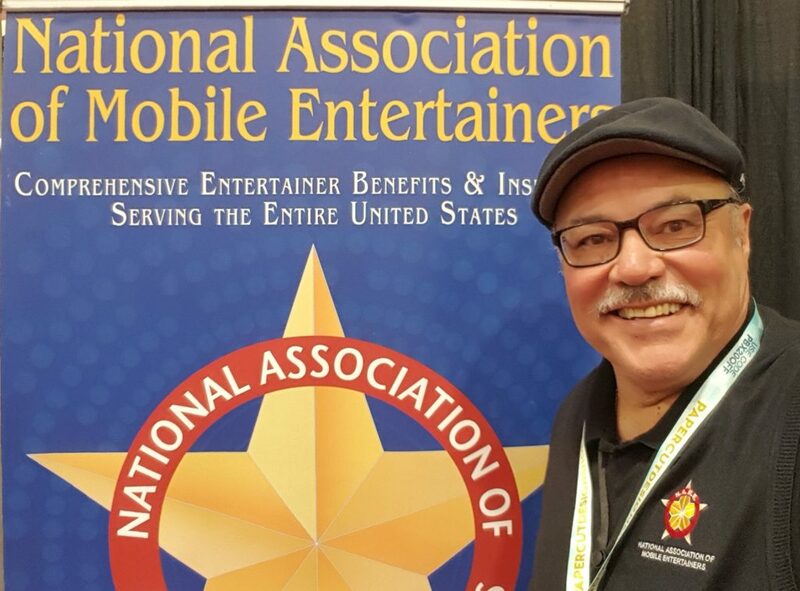 Ray Martinez aka DJ Ray Mar poses for a selfie with the NAME logo at the 2019 Photo Booth Expo held in Las Vegas, Nevada annually. 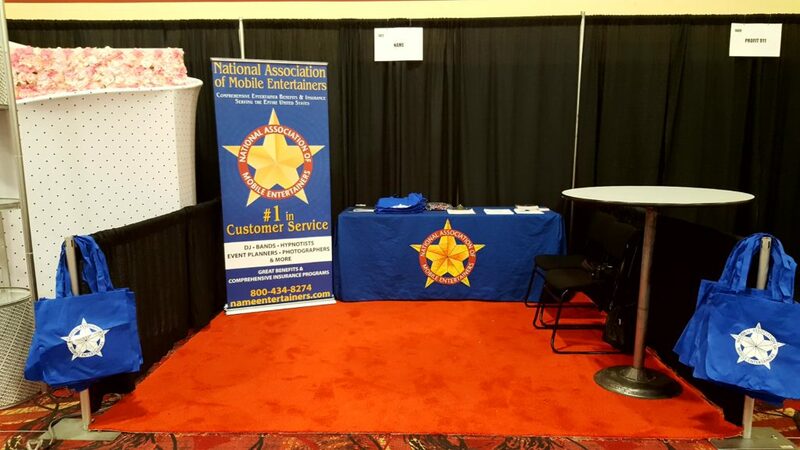 The NAME Entertainers booth all set up at the Photo Booth Expo in Las Vegas, Nevada. 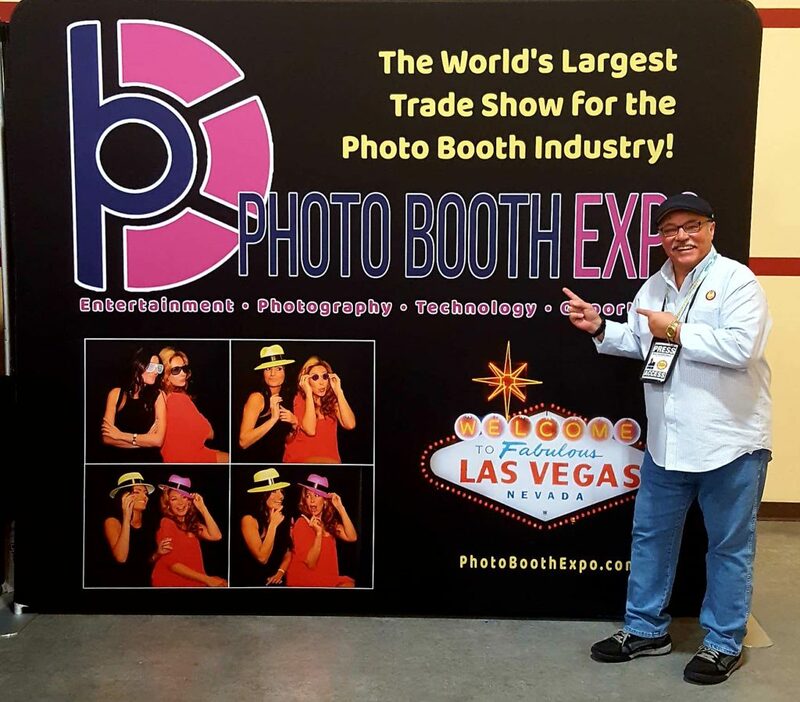 Growing each year, Ray Martinez was proud to promote both NAME and the 2019 Photo Booth Expo. I have been attending national and regional DJ trade shows for over 20 years. This year of 2019 was the year for me to go outside the music arena and cover the 5th Annual Photo Booth Expo. Rob Savickis is the show producer and has partnered with Robert A. Lindquist, former cofounder of Mobile Beat Magazine, and Greg Tutweiler, founder of the Christian Wedding Chaplains Association, to put on one of the most organized and professional trade shows that I’ve attended in years. Rob and his staff went out of their way to not only make the exhibitors and attendees feel welcome, but they were also on the ball to assist everyone whenever anyone had questions. They were all extremely hospitable, with a smile and absolutely no drama. It was truly an amazing experience. Robert Lindquist has really helped Rob Savickis bring this up to a top notch show and conference. I’m sure all attendees will be coming back for future shows. 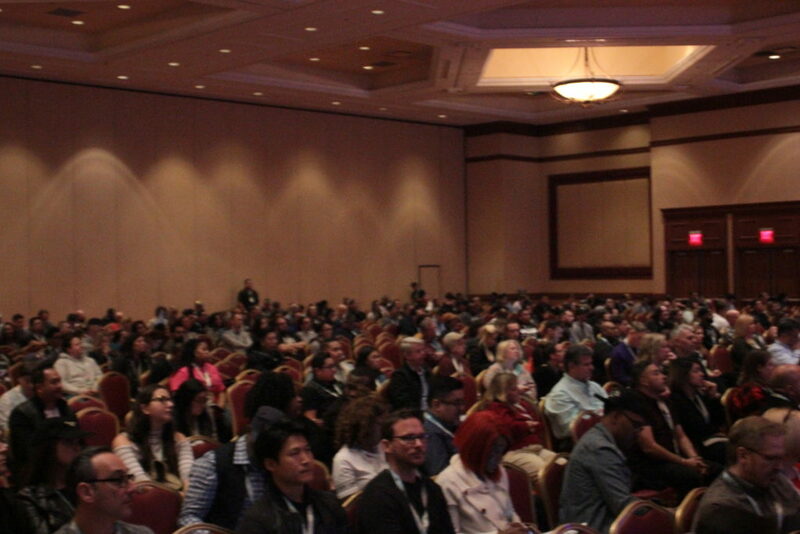 I was personally impressed with the seminar speakers, structure and especially the way the seminar room was done up to accommodate 1,000 attendees. 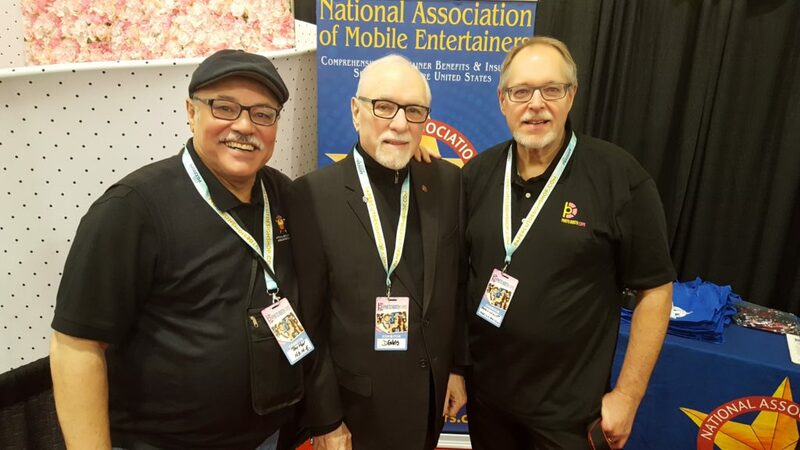 Ray Martinez, Dennis Hampson and Robert Lindquist enjoy the Photo Booth Expo 2019 in Las Vegas, Nevada. On a personal note, it was great to see longtime friend Dennis Hampson, president of the Canadian Professional Disc Jockey Association (CPDJA), who unfortunately lost his lovely bride Lindy to cancer last November. Our deepest condolences to Dennis and his family. N.A.M.E. 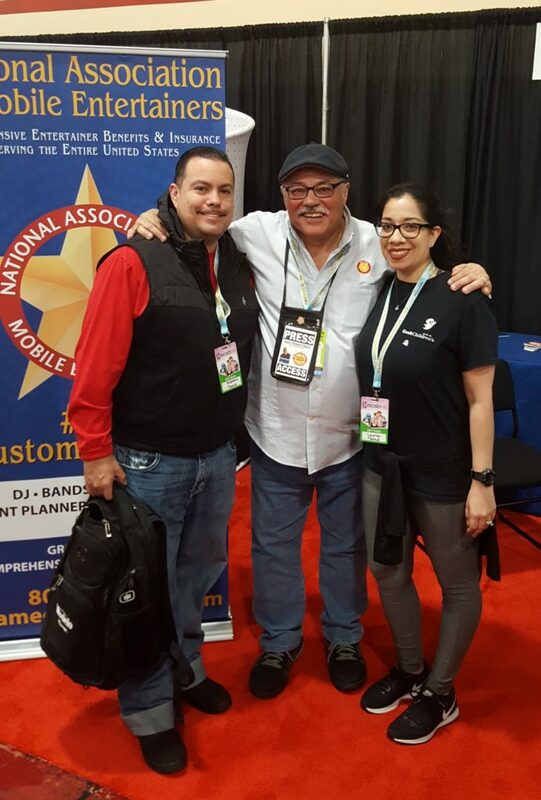 would also like to welcome our newest members to our association, Laurie and Michael Nunez from Grand Prairie, Texas who signed up at the show. Welcome to the NAME family Laurie and Michael Nunez! 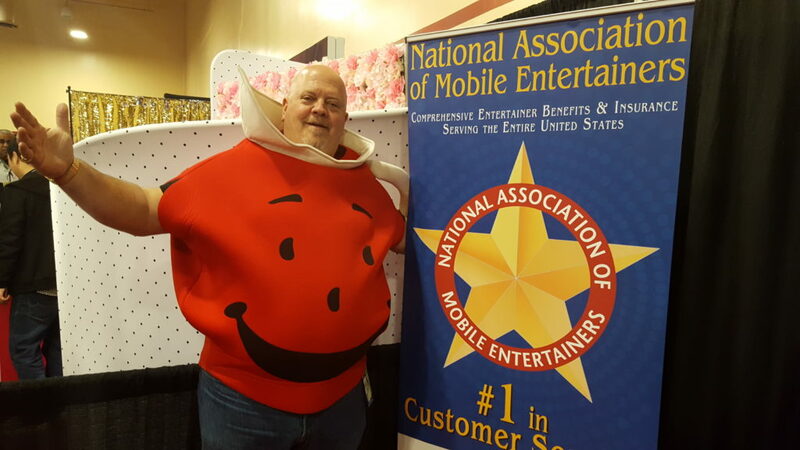 Because who doesn’t love the Kool-Aid man at Photo Booth Expo in Las Vegas, Nevada? Also stopping by the N.A.M.E booth was longtime proud N.A.M.E. member and friend of the association, DJ Legend from Long Island, NY, who gave us high marks for the great customer service he has received over the years. 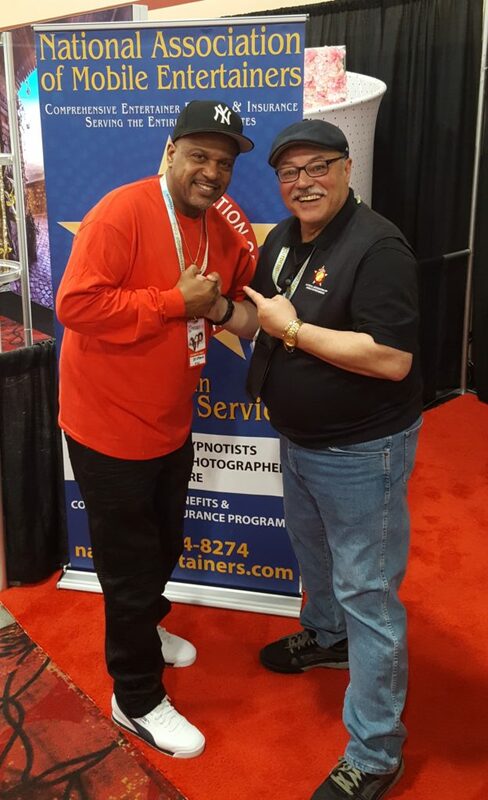 DJ Legend and Ray Mar proudly representing NAME Entertainers at Photo Booth Expo in Las Vegas, Nevada. 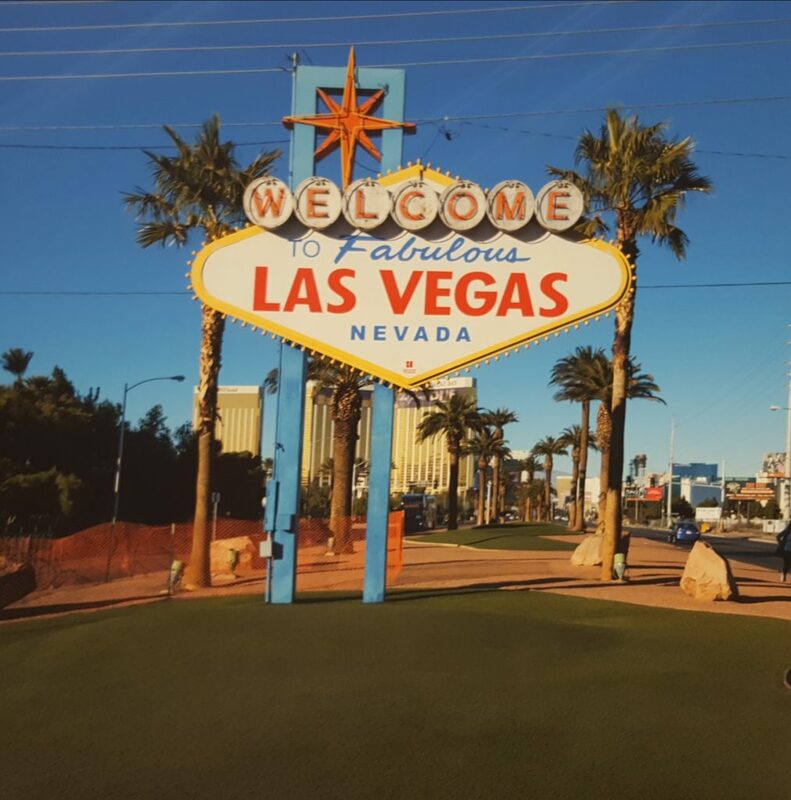 Although the South Point Las Vegas Hotel was on the Las Vegas strip, it was approximately 5 miles from all the major hotels. Truth be told, there were no distractions during this conference. In all the years attending trade shows, I never met so many new people just getting started with new businesses. 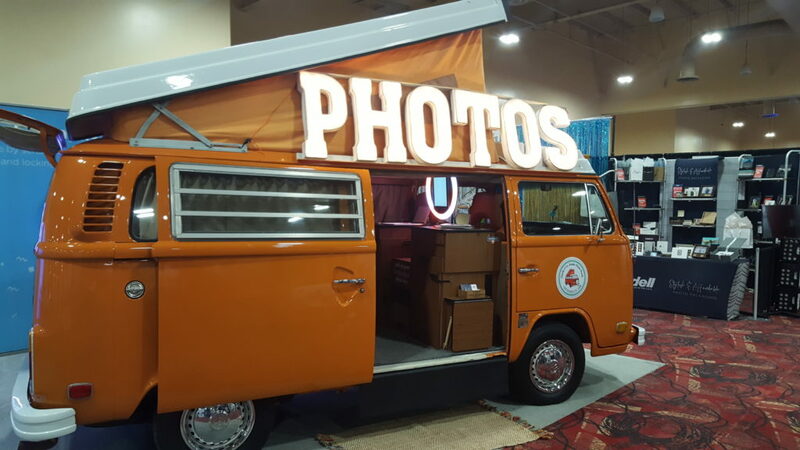 How about a photo booth VW bus at Photo Booth Expo 2019? 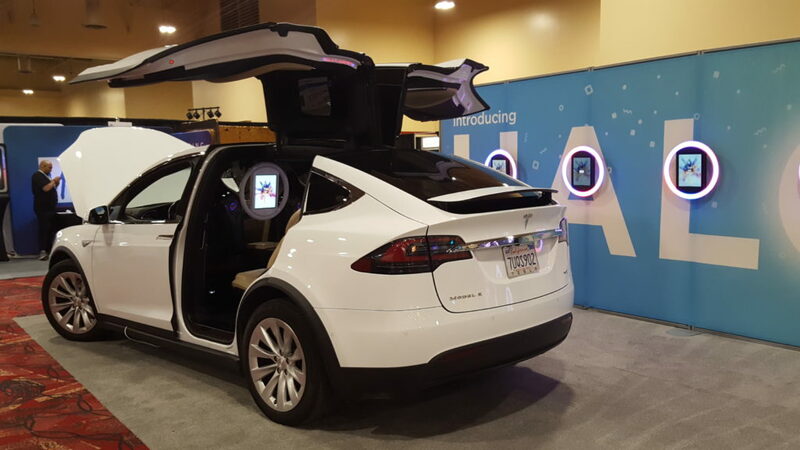 Or perhaps posing with a sweet ride is more your style at Photo Booth Expo? Professionally, it was very gratifying to be a part of a conference to actually help the newbies by offering advice or recommendations which gives them a jump start with their business and provides encouragement. My word of encouragement to anyone looking to increase their bottom line and move their company to the next level, is to make their plans to attend the Photo Booth Expo in 2020. You’ll be glad you did. 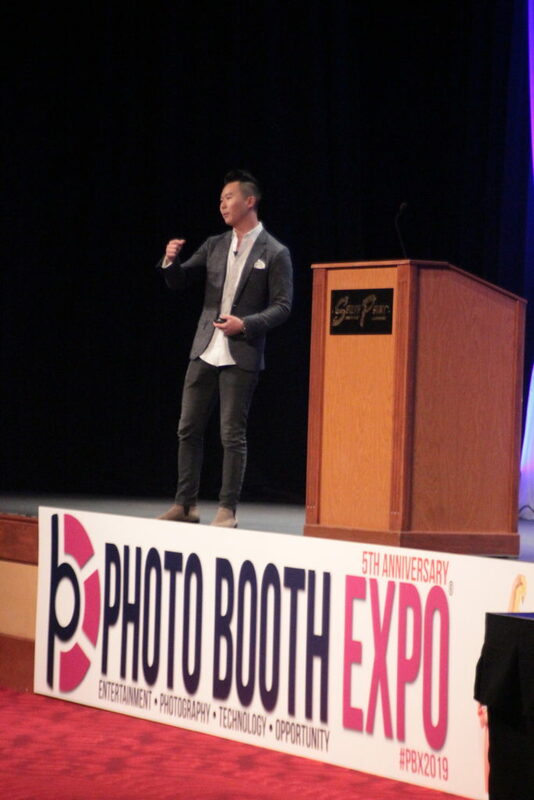 Brandon Wong sharing words of wisdom as a speaker at the 2019 Photo Booth Expo in Las Vegas, Nevada. 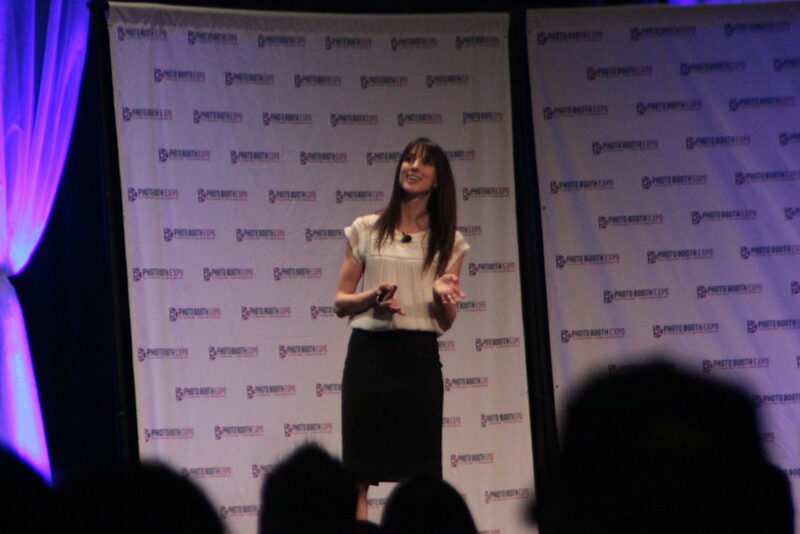 Vanessa Joy speaking at the Photo Booth Expo. She was one of the many leaders and innovators giving out helpful advice and information. The crowd was attentive and packed at the Photo Booth Expo. 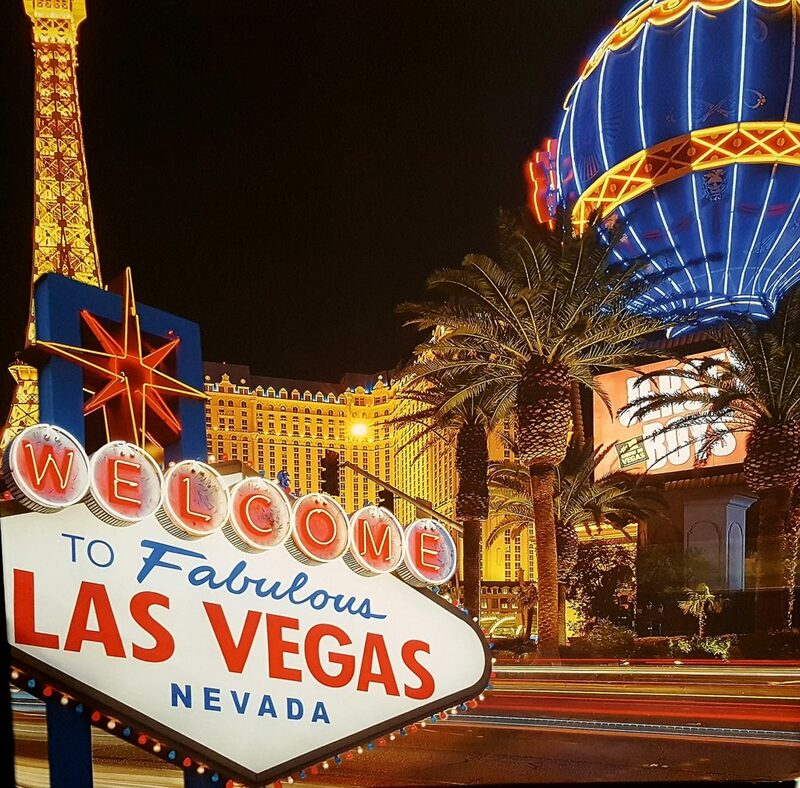 There’s something about the Las Vegas, Nevada strip at night with those bright lights… until next year Photo Booth Expo friends!